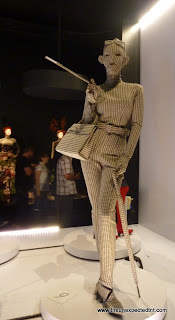 Oh how moving can destroy well entrenched habits, such as blogging regularly. Although I haven't been present on the Unexpected Twists and Turns, I've still been thinking a lot about what I want to write. Today, I'd like to address the importance of finding validation in popular culture, a very broad topic that has been done before, but I'd like to lend my own experience to it.The reasons for this will become apparent further on. When I was 9, my daughter's age, I played my first year of baseball, and I decided that I wanted to be a professional baseball player. I practised for hours and played on a team. Over the course of the season, I became one of the better players in spite of my being the youngest. I watched baseball on TV and loved Mickey Mantle (I know, WHY him?). I was across the street tossing the ball up in the air and catching it when my brother came over. "You practise way too much," he said. "I wanna be the best," I said. "Because this is what I want to do," I said shielding my eyes from the sun as the ball came down with a smack in my leather glove. "Ha!" he said. "How many girls do you see on TV playing baseball?" I stopped throwing the ball up in the air and looked at him. I'd been having too much fun and enjoying the enthusiasm to even entertain the thought.I tucked my glove and ball under my arm and felt the bad news settle heavily in my stomach. I'd never considered what my brother had said. I went for a walk and thought about where I'd seen other girls playing baseball. Couldn't think of any. In magazines, there weren't any. In books, none came to mind. On TV, I'd have to watch more closely. I got home and turned on the baseball game for a few minutes: the commentators were men, the players were men, the people playing baseball in the commercials were men. Okay, my brother was right. But instead of thinking I could fight for a chance, I played halfheartedly until the end of the season, and didn't sign up the next year. I gave up. And was later embarrassed by my childish, lofty ambition. But would it have seemed so unattainable if I'd had a female baseball star, real or fictional, as a role model? 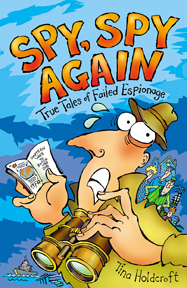 I was asked to review a book that I thought would be of great interest to my daughter: Spy, Spy Again: True Tales of Failed Espionage by Tina Holdcroft from the fabulous publisher Annick Press. This book is based on true stories of failed spy missions throughout history and around the world. It has a great multicultural component with tales from Africa, Iran, the Middle East, India, China, Europe and the US. With colourful, funny illustrations, it offers a wide variety of stories to remind kids that despite the best laid plans, everyone screws up from time to time, including well-trained spies. This is a wonderful book for learning about the basics of spying and looking out for double agents. The reader and his parents will glean little known facts about the world of espionage. However, this is a disappointing book for girls, as it contains only one female spy--Mata Hari--who reportedly used her seductive wiles to get secrets from high-ranking government officials. The Dutch-born exotic dancer is portrayed as an empty-headed and gossipy courtesan in this book, in spite of speaking five languages. The lack of women spies in this book left my daughter cold. I might be able to criticize the portrayal of Mata Hari, but can I criticize a book for having only one failed spyess? 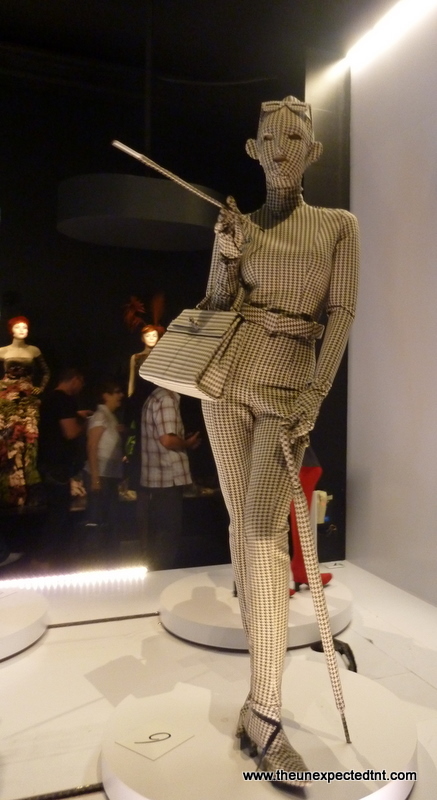 Unfortunately no.There are few accounts of famous women spies in mass culture, let alone those who botched missions. But does that mean that women spies never existed. No! They just haven't been given much ink.Think of WWII's courageous gals Nancy Wake, Odette Hallowes, Violette Szabo and Pearl Witherington. But how's a young girl to know this unless she can see it, hear it or read about it in the world around her. The same is true of women in science and math. We believe there are so few role models. Yet in WWII, women were hired as computers (in the day, this was a job title).These brainy mathematicians did ballistics research, calculating weapons trajectories to be passed out to men fighting in the fields and bombers in the air. Filmmaker LeeAnn Erickson stumbled upon this little known group while working on a documentary on another topic altogether. Erickson has since made a film about the wartime mathematicians in "Top Secret Rosies: the Computers of WWII." As a service to our ambitious daughters, we need more research to find these trailblazers in history to validate the endless possibilities for our girls. There are more than a few talented writers and filmmakers who would love to tackle these subjects. We just need to have some of the culture makers and their money onside. But then...isn't that the age-old problem? : More Girl Spies PleaseTweet this!